I’m a massive fan of loaf cakes. For one thing, they’re significantly easier to slice than round cakes or traybakes (as anyone who has witnessed me trying to cut even slices will attest). And for another, by referring to it as “a slice of loaf” rather than “a slice of cake”, I can delude myself that I’m not being unhealthy. The deception is easier in more traditional loaves, which tend to have fruit-based ingredients and are therefore counting towards my five a day. However, when Nigella Lawson is at the helm, any pretence of healthiness is out the window. I almost shrieked with delight when I saw How To Be A Domestic Goddess in the library last weekend, after having it on my wish list for ages. In fact, the one bonus of being trapped in my flat last Sunday awaiting a locksmith was that it gave me an excuse to pore through the book, copying out tempting recipes and imagining myself in Nigella’s world of endless glamorous dinner parties and special occasions. This is the first (no doubt of many) that is getting a try. 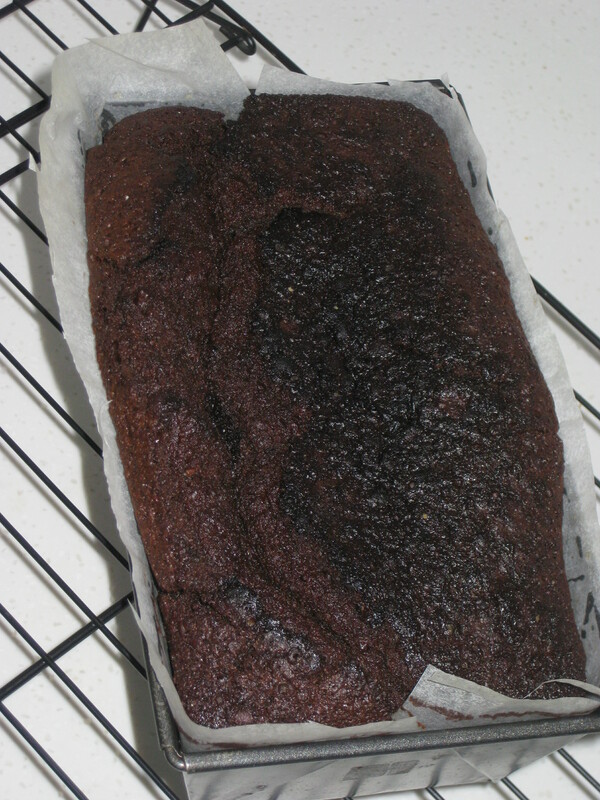 My cake turned out a little blacker on top than I would have liked, and I had to cover it with foil to stop the top burning too much before the rest was cooked through. I think this problem is most likely specific to my miniscule little oven, but it’s worth keeping an eye on it anyway. 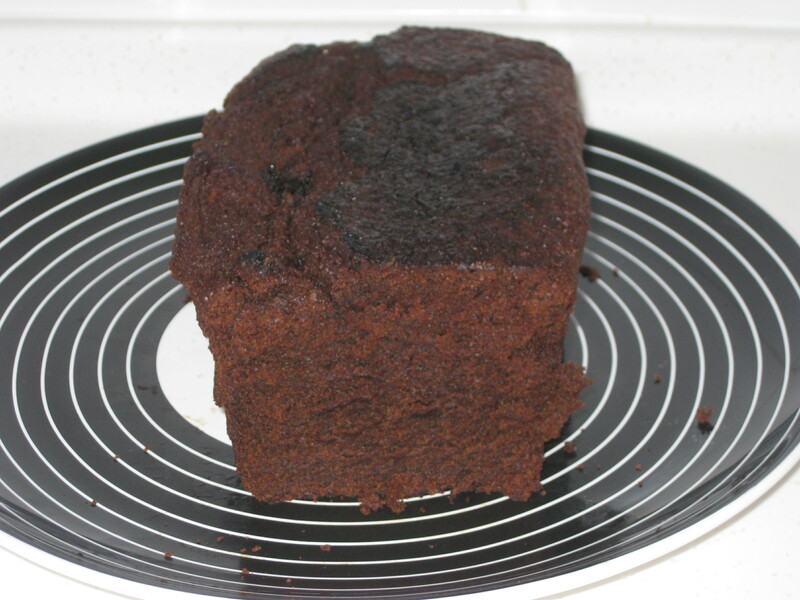 Fortunately it was only the appearance that suffered, it didn’t taste burnt in the slightest. It’s a completely delicious cake. 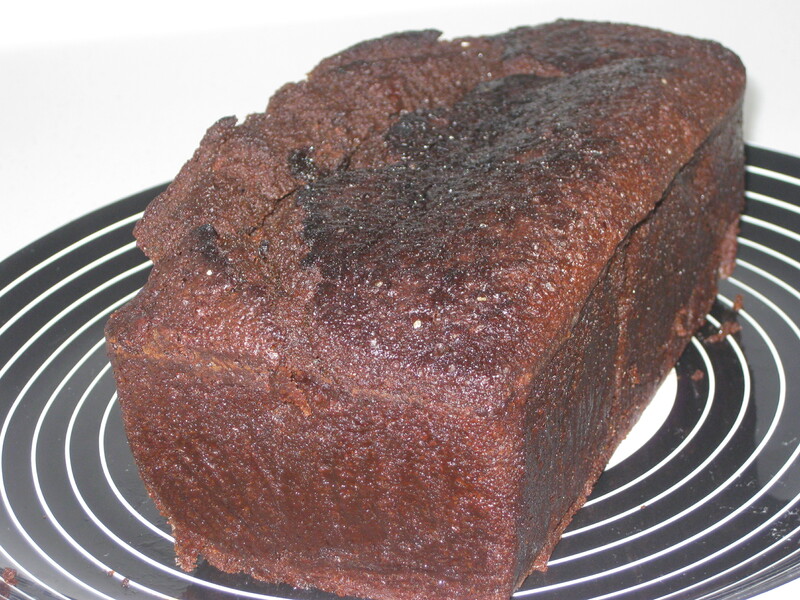 It reminds me slightly of ginger cake due to the dark sugar and colouring, and the moisture. 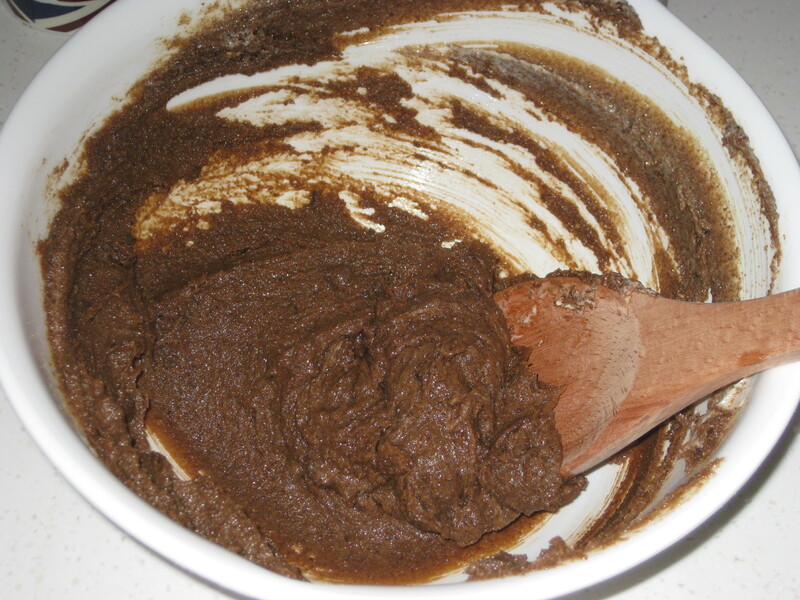 Like ginger cake, it keeps well and perhaps even improves on keeping (if you can resist). It’s also one of those cakes that, as you eat it, it feels so rich that you know there’s no way you can manage a second piece. 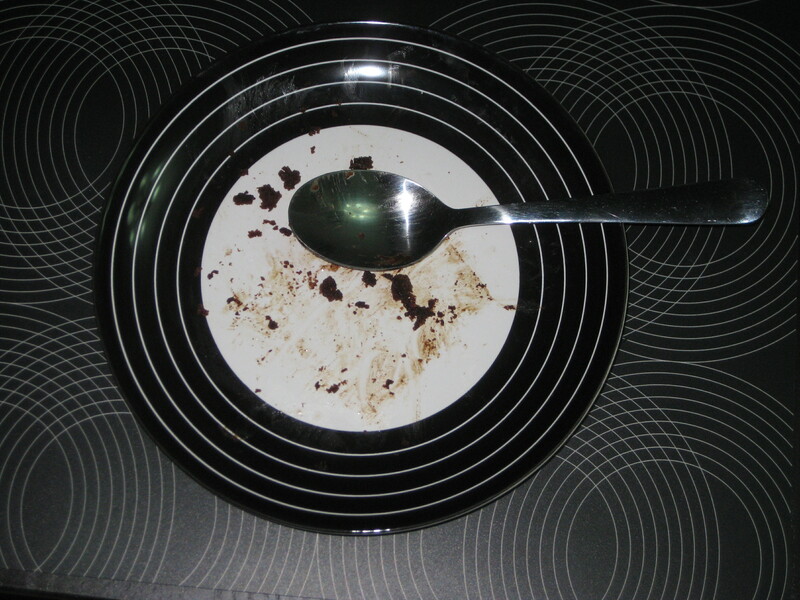 Then as soon as you set down your spoon you start to wonder if you do in fact have room for a sliver more! It is really divine, and although I was sceptical at first, it truly is, as Nigella claimed, special enough to be served at a dinner party. As long as you don’t scorch the top! 1. 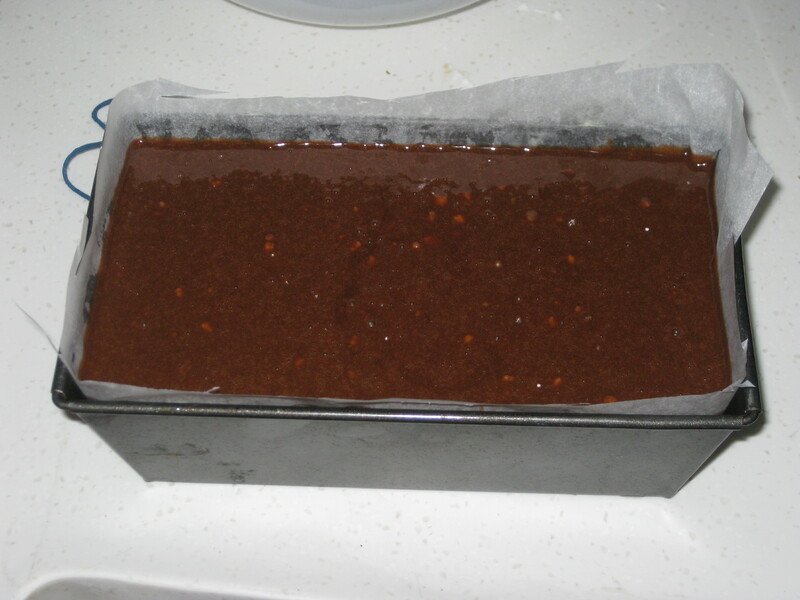 Preheat the oven to 190C, grease and line a loaf tin (23cm long). 3. 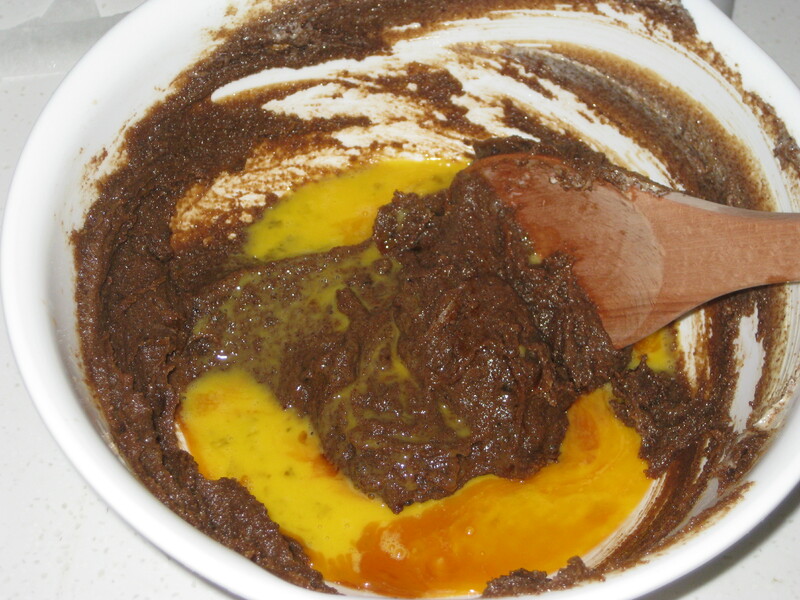 Add the eggs and vanilla, beat well. 4. 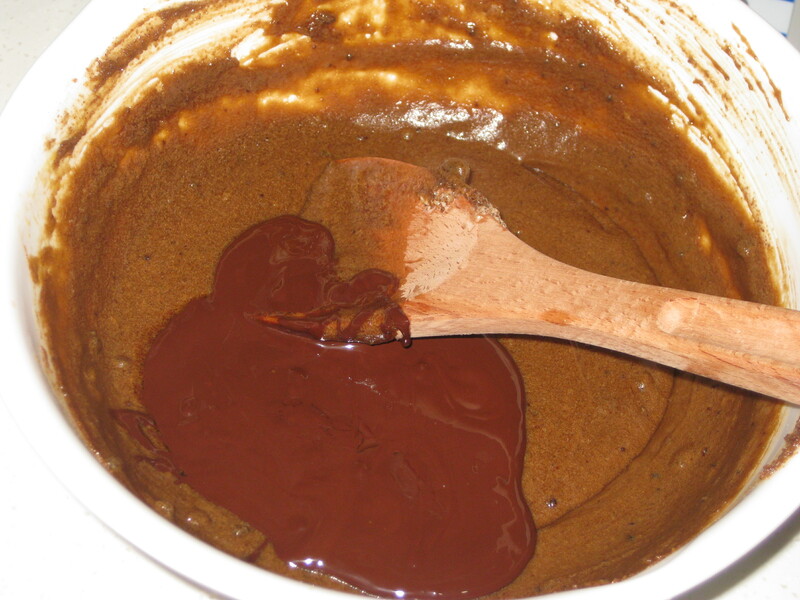 Fold in the melted, slightly cooled chocolate. 5. 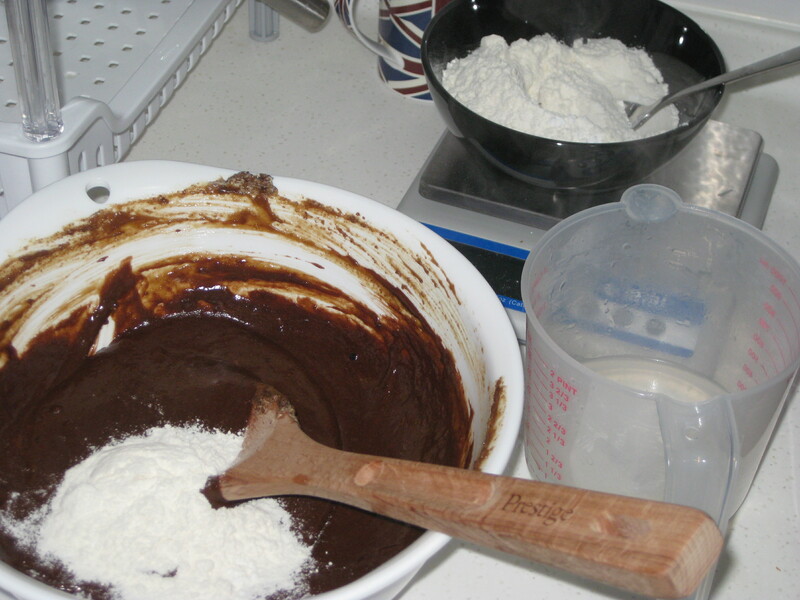 Add alternate spoonful of flour and bicarb and boiling water, stirring each addition gently until it’s a smooth, liquid batter. 6. Pour into the lined tin and bake for 30 minutes. Turn the oven down to 170C and bake for a further 15 minutes – it will still be a bit squidgy and won’t pass the usual clean-skewer test. 7. 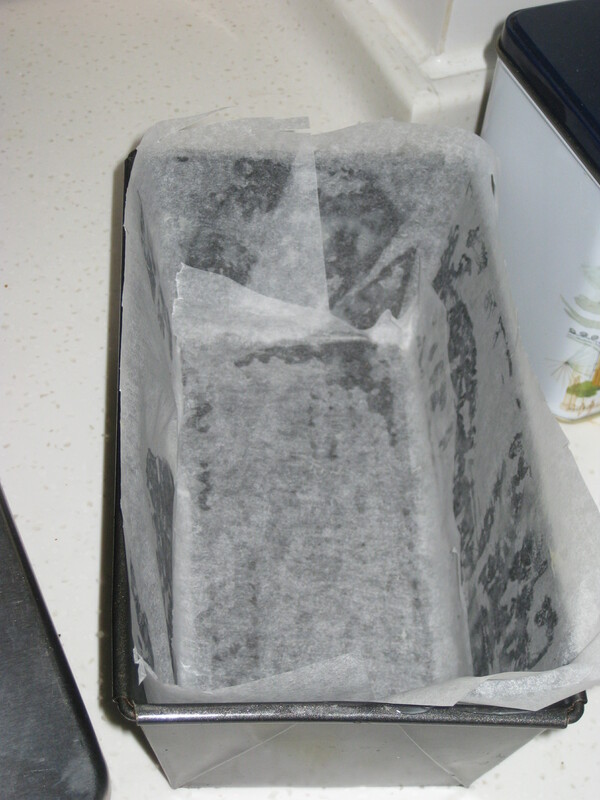 Place the tin on a rack and leave until it is completely cold before turning out – it’s likely to sink, due to the density. I left it in the tin overnight and turned it out the next day. 8. Serve either as it is, or with ice cream. 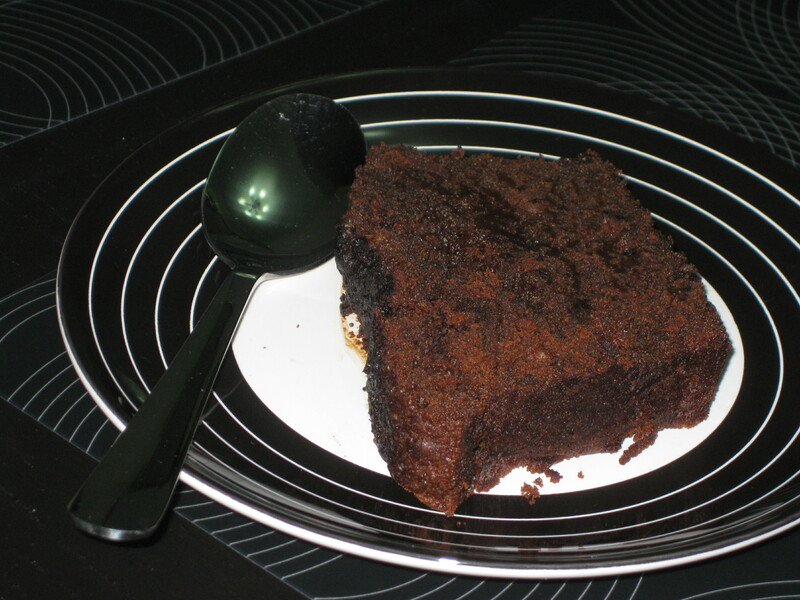 This entry was posted in Vegetarian Recipes and tagged chocolate cake, chocolate loaf cake, Nigella Lawson. Bookmark the permalink.